There are still many photos documenting the “Pathway Project’s” two weeks of activities. Imagine how different things are in America and the many impressions the students experienced and carried home. The project is blessed to have so many “Friends” involved and devoted to making this a life-changing experience. And then, consider the reactions and feelings of those in Copey who welcome home these returning students. The potential and positive impact Brian and Lourdes will have on students wanting to be the next ones selected for the “Pathway Project” will be tremendous. 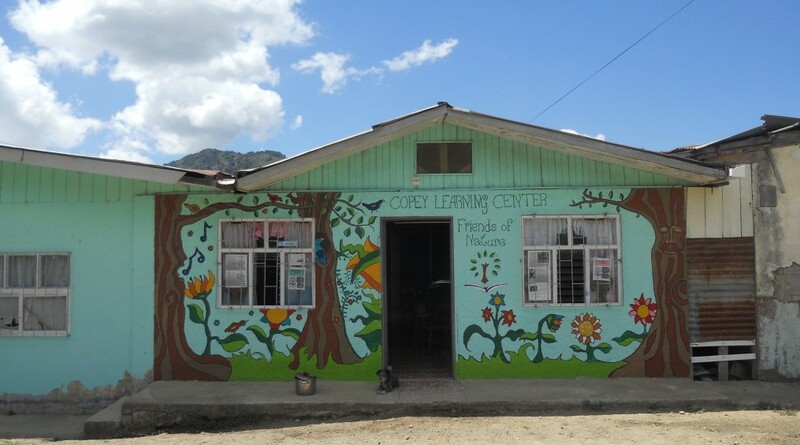 Today, our Costa Rican guests have safely returned home to Copey. Their time spent with us was nothing short of amazing. This week, I will hold back on the written message and let you see some of the photos taken during their visit. They tell the story of an unforgettable experience for the students and a memorable time for all of us. These photos are only the tip of the iceberg. Small acts of kindness were behind each photo taken. It was someone’s willingness to be involved that provided our guests with a vast array of experiences representing the many aspects of our lives and culture. Equally important, small acts of kindness appeared in financial donations as well. Both financial and in-kind support together formed impressions of kindness and their impressions have been taken back to Copey to be shared with others and will be relived many times. Thanks again to everyone for being supportive and doing an unbelievable job hosting and going the extra mile (or two) to bring real meaning, life, and purpose to the “Pathway Project for 2018”. Congratulations, you finally devised a way to weave me into your vision. I was honored to be included in the greeting, hosting and serving of Ana, Dahiana, Lourdes, and Brian on their arrival to Washington, DC. Your grand vision has afforded so many of us the opportunity to contribute, hopefully, in meaningful and developmental ways. What a treat it was to witness the enthusiasm and excitement displayed by the scholars as we briefly toured around DC. Again, thank you Scrapper for figuring out how to include me into your wonderful journey. It has been one week since the Costa Rican guests landed in Washington, DC. Neither space nor time will allow me to cover all the many different places and experiences they have enjoyed since their arrival. No exaggeration! Each day has been a full day of planned activities. One highlight was the (now) annual reception which involves many “Friends” gathering to officially welcome our guests. Our guest host treated us with a sumptuous meal outside in wonderful country evening air. There were short presentations spoken in very good English provided by the students and a cultural dance routine the students created specifically for their trip to America. Trampoline jumping, bowling, the theater, shopping malls, constant eating, and other activities made up the week. Places visited included site-seeing in DC, the Natural Bridge, the Luray Caverns, two church services, a concert, and Hungry Mother State Park to mention a few. Starting today, they all are on a different plan. They are enrolled in the Summer Scholars Institute and Leadership program on the Emory & Henry campus. Lourdes and Brian will join other students from area schools and schools from other states in course study work on a variety of activities designed to broaden academic interests and building leadership skills. Ana Yancy and Dihiana will participate in the Summer Scholars event by conducting classes on Costa Rican culture, history, and customs. More reports to follow. On a completely different note, several “Friends” are aware Braxton, my 10-year-old grandson, underwent a serious surgical procedure last Monday to correct a bone development problem in his chest. The operation went well and there has been no after surgery problems to speak of. Now, he is working to get his body healed and back to being a 10-year-old. Just slow going but we are certain he will soon be 100% back to normal. There are no limits in gratitude I have for this life, my family and “Friends”, and the opportunity to see visions become reality. This past week alone I have said more heartfelt “Thank You’s” to others than you can imagine and came nowhere close to saying enough. I am very grateful. The “Pathway Project for 2018” is officially underway. Ana Yancy and her students arrived in Washington, DC Saturday afternoon. Zina Griffith, my cousin and life-long resident of the DC area and retired public school teacher, greeted them upon arrival. Since retirement, Zina spends her time teaching English in DC to Spanish-speaking students. Being a devoted “Friend”, she stepped in to those big shoes Angela filled for two years. Thank you. The Pathway Project Fundraising Campaign is over. With a very small number of promised donations pending, we expect to meet our goal. Some of our planned costs have gone down because of very generous in-kind support. For example, the wonderful meals being enjoyed by our guests as shown in the photo was covered by Zina. The hosting support provided by Zina also cut local DC transportation costs. Monica Hoel, our college’s famous Alumni Director, provided significant in-kind support by personally transporting our guests from the DC area to the campus which included site-seeing tours and meals along the way. During the previous two years, we had rental car and other expenses as our guests made their way from DC to our campus. When the “Pathway Project” is complete, I will provide a detailed report on the financial results of our efforts. Based on today’s info, we are in really good shape. In the past, I have shared my thoughts about “partnerships”. Getting folks and organizations engaged to work together for a common purpose is vital and can be seen most vividly in action with a project such as this. When it is all said and done…we have clearly five organizations along with all the donors, and those many others providing in-kind support from Copey to E&H College, all engaged making this happen. So many of you in so many different roles to thank…! We are all now set for a couple of weeks of full and complete enjoyment, learning, and making differences. Stay connected for more updates. This is the final week before the Copey Learning Center guests depart for America. There is a tremendous sense of excitement flowing from Washington state, across the country, and then down into Costa Rica. Can you imagine the thoughts of the proud parents of our guest students, the feelings of accomplishment by the Learning Center’s Board of Directors, and the sense of pride felt by the Copey community? And, all the “Friends of Copey” should also be excited. The Pathway Project could easily be a one of a kind since it is not spearheaded by any official organization, business, government, or agency. Just old everyday “Friends” sharing a common belief that when a few commit to doing even a little to help kids, then much can be done for kids. Such a bold concept! Last week I sounded a gentle alarm regarding our fundraising campaign situation. We were running a little below our expectations for the funding needed to fully support this project. Many of you answered the alarm and now our funding situation is much more positive. We still have a short distance to go to completely meet our goal. We are at about 84% of our goal today with several donations still expected to show up soon. So, if you have not yet sent your donation but plan to, now is the time. Even if you send $5.00 or $10.00, you will have made an investment in one amazing experience for two students…and an entire community. We have tightened our plans a little, reduced our goal some, and now more certain all will work out. We are “good to go” thanks to all of you. Lest WE Forget…! There is the other half of the Pathway Project we should not lose sight of. We have two Emory & Henry College students (Kara and Matthew) at the Learning Center now and completing their 4th and final week on Friday. All reports on their participation and involvement as volunteers have been outstanding. I personally met Kara and Matthew during my campus visit in March and knew then these two students were ideal volunteer candidates for Copey. Both have exceeded all our expectations and have become special friends to the Copey community and the students. We can see a trend of excellence developing as we can now account for six E&H College students (Including Jane) who have made their mark on the community and the Learning Center. Our college has become a household name in the community and is well thought of as a caring and devoted college with high ideals and amazing representatives who come to their community to help. In my opinion, Kara and Matthew have maintained those excellent standards of excellence set forth by Xavier and Casey, our first E&H Pathway students in 2016 and Melody who represented us in 2017. All these students have represented E&H College, “Friends”, and even American students in general, most honorably. Thank you for your service! I firmly believe both Kara and Matthew will leave behind Copey a little better than they found it. And I am convinced Kara and Matthew will return home understanding better the challenges of our world and are better prepared to take them on. I really love receiving photos from the Learning Center. And, every now and then I will get a photo that will just shock me. This week Ana Yancy sent the photo below and it was really a shocker! Angela (far right) is in Copey now on vacation from her job in Boston. She has impeccable timing since she has been around to meet Kara and Matthew (also pictured). And, she is available to wish her prior students well as they depart for America. Angela helped set up the “Pathway Project” and is the 1st to have brought the “Pathway Project” students to America in 2016. She led the way back to America with Ana Yancy by her side in 2017. This year Angela’s work and schedule would not allow her to be involved. So Angela travels with us in spirit. “Friends” has been fully blessed with two wonderful Directors leading the way at the Learning Center. And, please do not make the check to “Friends of Copey” or to me personally. All funds will go into the TCI Kiwanis Foundation account to pay the Pathway expenses. The account will be managed by the Foundation’s Treasurer, Ms. Julie Meek, CPA. The Foundation has 501c3 status.